Dunno what to think here, as people seem determined not to actually find out the human cost of refugees in terms of welfare, crime, terrorism, and the like. The anecdotal reports I'm hearing out of western Europe are not good, though, and I think that's mostly what is being responded to. "That's not American. That's not who we are. We don't have religious tests to our compassion," Obama said in the aftermath of attacks in Paris that prompted calls for the U.S. to restrict Syrian refugees from entering the United States. 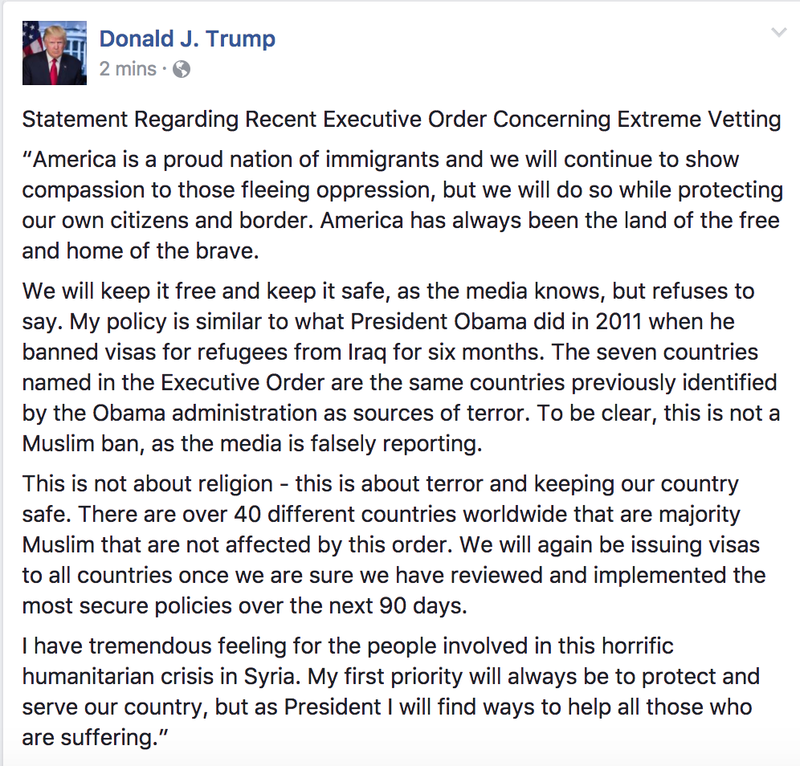 Trump and the White House have vigorously disputed the notion that Trump's order is a "Muslim ban." Trump's halts all refugee admissions for 120 days, suspends the Syrian refugee program indefinitely and also suspends entry to the U.S. from seven majority-Muslim countries for 90 days. 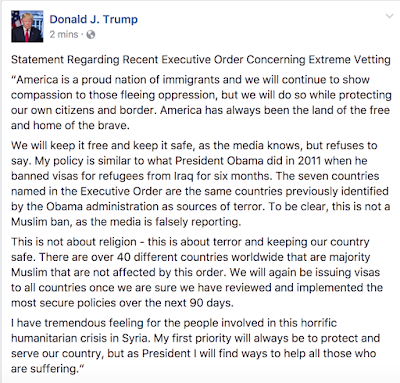 But the White House has stressed that dozens of other Muslim-majority countries aren't included.